Trend-setting and leading – the SOVEREIGN DIRECTOR. The ultimate High End Preamplifier for the serious stereo lover and analog music reproduction enthusiast. An absolute precision instrument that combines luxury, elegance, tradition and state-of-the-art technology to enthrall you: a connoisseur of music. Designed and created to experience emotional events in the purest fashion. It will touch you, impress you and fascinate you again and again through the music you love most. Experience your music the way you always wanted to: totally natural. The luxurious workmanship and the elegant and timeless design speak for themselves. 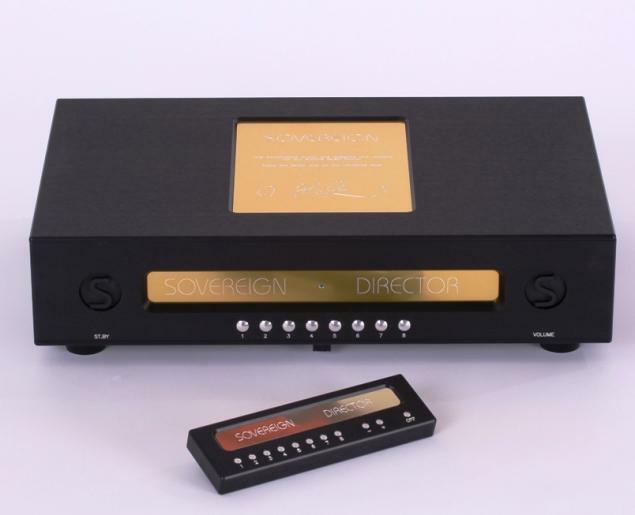 This High End Preamplifier is manufactured by traditional handicraft, and comes equipped with state-of-the-art technology that allows you to connect up to eight devices. That includes two recording devices and a connection for an analog record player. Since you are an analog fan, you’ll be especially fascinated by the simple adaptability of these pick-up systems. 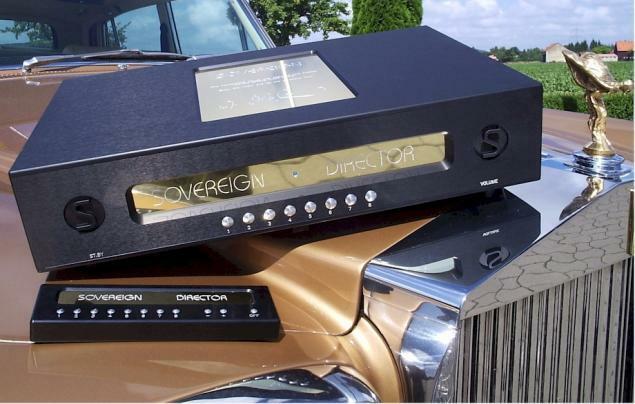 In this way every pick-up system can be operated optimally with this grand preamplifier. Enjoy these unique experiences you can now listen to every day – with the SOVEREIGN DIRECTOR. We would like to welcome you soon to being among the owners of a SOVEREIGN system and their friends and fans. We’d also like to arrange for you first an introduction, a very personal audio sample and a demonstration of what we call "music reproduction" and "solid workmanship". More information and technical details are available for you upon request. In the meantime you can visit us on Facebook if you like.